In 2011, we began seeing landscape maintenance companies all over the country converting their mowers to propane with positive results. 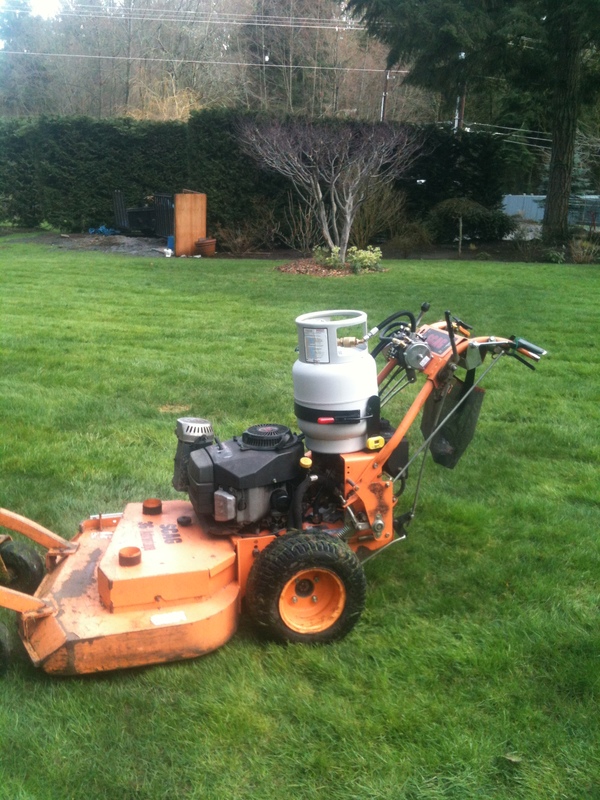 In 2012 we converted 2 of our midsize mowers over to propane to see how they would perform. In January of 2013 we have converted our entire fleet of mowers to propane. Also, we will be converting our 2-cycle hand held equipment; leaf blowers, weed eaters, and hedge trimmers to battery power. This will mean less pollution and less noise. When our clients are having meetings at their home office less noise while our team is there. Makes for a less disruptive meeting. The same goes for the few commercial accounts we have. I have been in several meetings where the blowers and line trimmers were so loud we had to stop the meeting for the landscape technician to pass by because of the noise. For our company to do it’s part to leave less of a carbon footprint on the planet and a cleaner environment. I believe this is the future of the Landscape Industry. Receiving correct information about the new technologies and in some cases the products are so new it’s all learning curve for everyone involved. From manufacture to the contractor. And of course new technology means the products are expensive. Why was this goal so important? Linda and I hope that Jefferson landscaping can do their part in leaving this planet in better shape for generations to come. For our children and their childen. 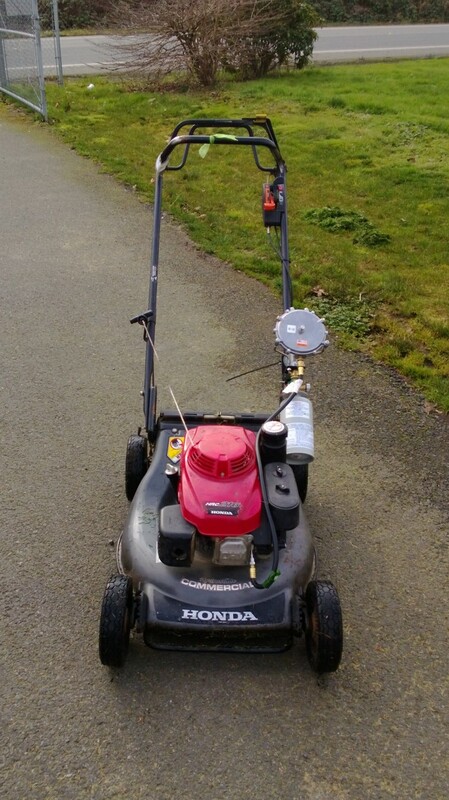 In Washington State, we are the only ones with propane mowers and battery hand held equipment. Especially the size of our company we will be converting to propane, 5- 21" mowers, 6-midsize mowers. The 2 cycle equipment will be converted to battery power is 5 line trimmers, 6 hedge trimmers and 5 leaf blowers. Why aren’t more companies following suit? Less exhaust, less fumes , less noise. With the propane conversion mowers we should recoup our investment in 3 years. The emission results to our planet is immediate. The feed back from our clients is very positive. Especially the ones who see the big picture with or without children. Jefferson Landscaping is a proactive leader, spreading an ethic of environmental stewardship and greener practices. Our practices go beyond others in the industry by educating the industry leaders of tomorrow, and by being involved and doing our part in the community.